22 Nvidia Geforce RTX R.O.N. 24 Logitech and the peripheral formerly known as "mouse"
If you subscribe to Spotify, you're probably familiar with the Discover Weekly playlist, which gives you a curated selection of music that matches your tastes every seven days. But today Spotify has rolled out the new and improved weekly playlist you didn't know you needed. The new Discocover weekly playlist gives you a personalized mixtape of "disco covers and covers of disco," or, in other words, "everything you needed in life." Disco never died, it just went digital. According to a recent survey, Roku owners have a major pet peeve when it comes to the streaming platform's current remotes. To alleviate their concerns, the company is releasing a new Press Paws Remote that's easier for dogs to use. 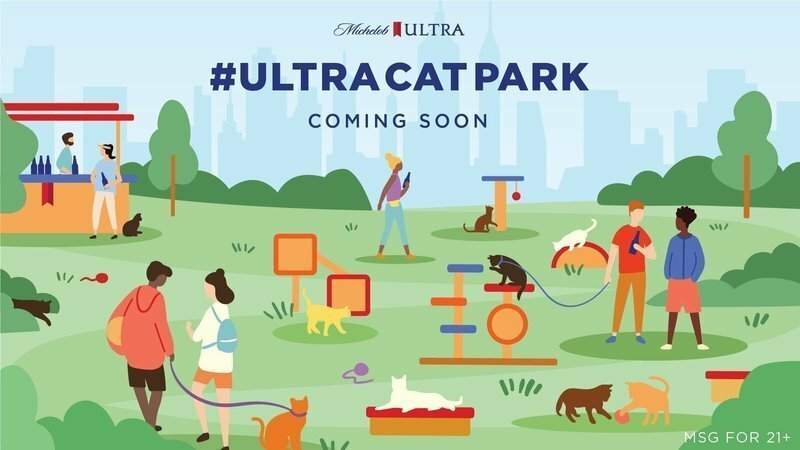 It features new Animal-themed shortcut buttons in ergonomic paw-shapes, Bark Assistant Technology, and even a built-in Sub-WOOFer for extra high-frequency reproduction. The new remote should provide your dog with an enhanced streaming experience. This April 1st, Jabra wants you to know that it's solved one of the biggest problems when it comes to on-ear headphones: sharing. Rather than be required to split a pair of earbuds, the new Jabra Earbud(dy) lets you and a pal share precisely one-half of the full on-ear experience. 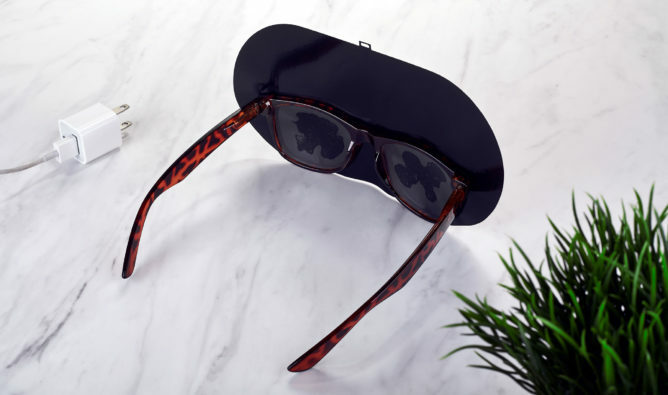 Featuring an ultra-light, extending headband, waterproof design, and dual voice assistant support, your perfectly personalized music experience can easily become someone else's. In an April equivalent to loudly yelling "bah, humbug!" 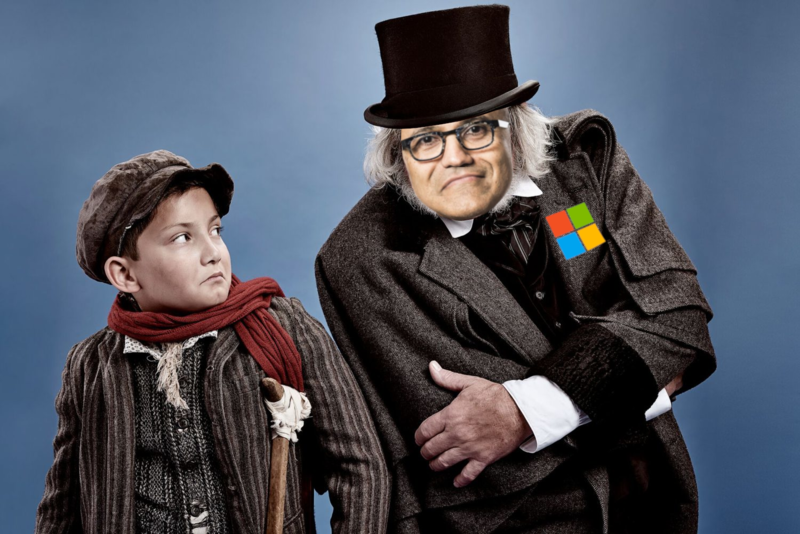 before kicking a curled-up Tiny Tim in the stomach, Microsoft wants you to know it's banned April Fool's day jokes. The concern is, and I quote, "unwanted news cycles." Microsoft is serrious biznees, guise. We've got smart lights, smart outlets, smart cameras, smart appliances, all constituent parts of whole smart homes, but these "smarts" haven't extended to your landscaping. At least, not until now. Hampton's new IoTree is the first in a new line of cutting-edge smart trees. The cloud-connected, two-hundred-foot-tall IoTree costs a mere $375,000, providing music playback functionality, lighting, and voice-controlled internet search (via an additional $25 monthly fee). 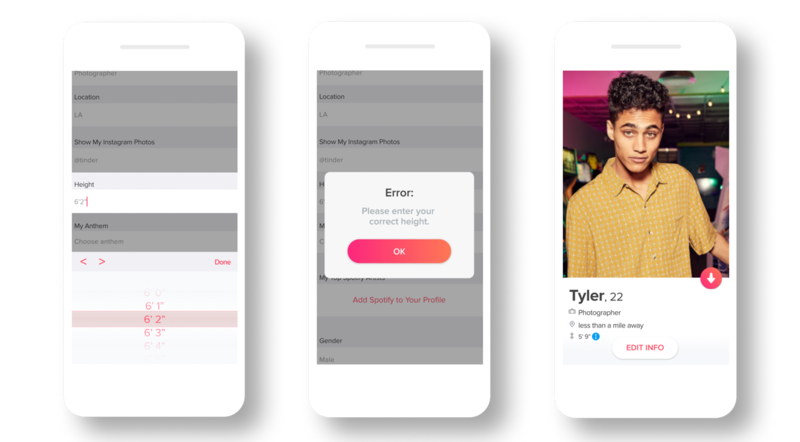 Tinder has finally caved to the platform's most requested feature. Starting soon, the company will be rolling out height verification, forcing honestly into digital peacocking. The new tool uses a state of the art verification method to determine your accurate height from a photo of you standing near a building, aiming to reduce the number of fraudulent 6' listings on the platform, as well as prospective partner's subsequent altitudinal disappointment. Starting yesterday, Google Maps rolled out Snake — as in, the game where you seek out objects on a screen as a snake, growing a bit longer as you nom each one — in Google Maps. This version has a slight visual twist: your snake is a mass transit vehicle, and you're picking up passengers in one of six major cities, or across the whole world. The game is available in the side-swiping menu in Google Maps on Android, as well as desktop. Be careful, though, the controls seem to have a tiny bit of latency if you play on a phone. Today Google has revealed its new Screen Cleaning feature for the Files app. Harnessing the often misused smudge_detector API, together with geometric dirt models and the haptic micromovement generator, Files can detect when your phone is filthy and clean it off for you, while also preventing future buildup. Following this weekend's launch of the Phone BoothE in Yew York City, DC, and Seattle, T-Mobile, has finally caved to customer requests that it further roll out its latest innovation and Evolution in mobile. The new PhoneBoothE Mobile EditionE is, as the name suggests, a personal phone booth, providing you privacy and security on the go, all without compromising on portability. T-Mobile described its features and potential uses best when it said, "Promised you’d go to that party but dreading all the small talk? Stand in a corner with this on your head and talk to yourself in low tones. Ain’t nobody gonna be talking to you. Trust." Other use cases include NSFW conversations with romantic partners, story-avoidance, and airline comfort. Hold on for our hands-on, as T-Mobile spared no expense overnighting me one of my own. Thanks to the ongoing magic of machine learning, Google has finally brought us the future in human to plant translation. Just for tulips, though. 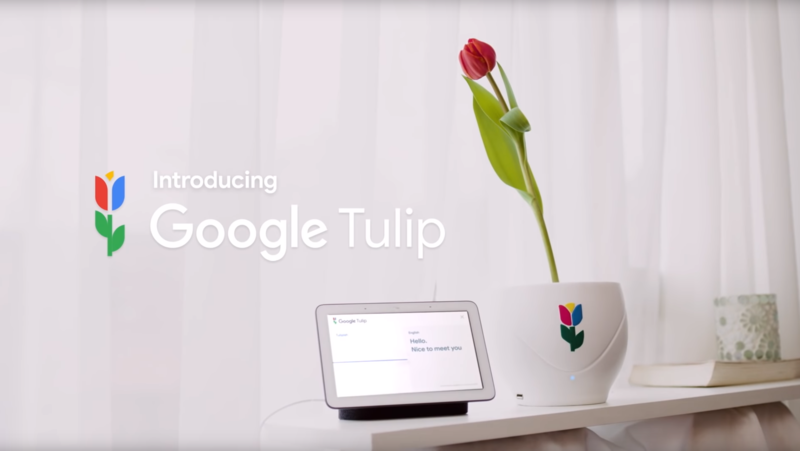 Harnessing existing root-based communication methods, the Google Tulip builds on work out of Wagenigen University in the Netherlands, ultimately giving us the ability to communicate with tulips via the Assistant in a dozen different human languages. Google Tulip improves both our individual understanding of day to day plant life and your tulip's personal wellbeing. They're also excellent listeners, and sources of sound advice. Support for other species, including the cactus, is coming. You may remember the blacked-out location on the camera array behind the Nokia 9 PureView, visible in our review. 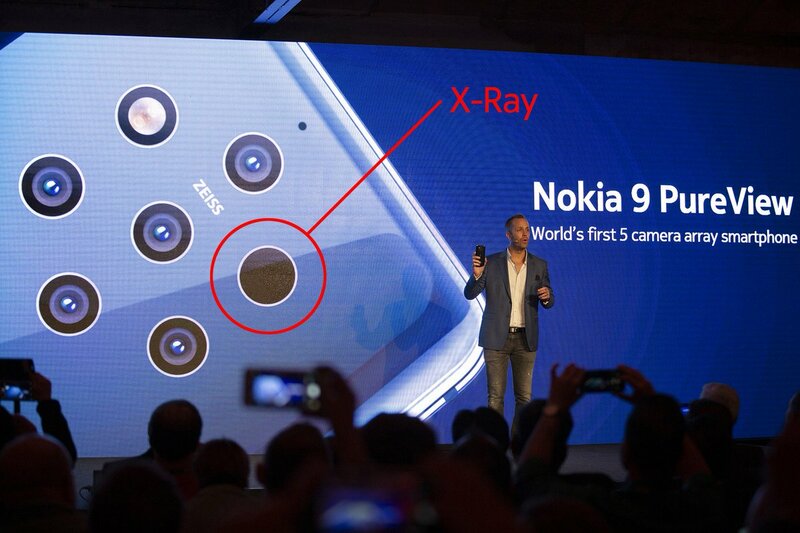 Today Nokia has revealed the ultimate purpose of that final sensor: It's an X-ray camera. 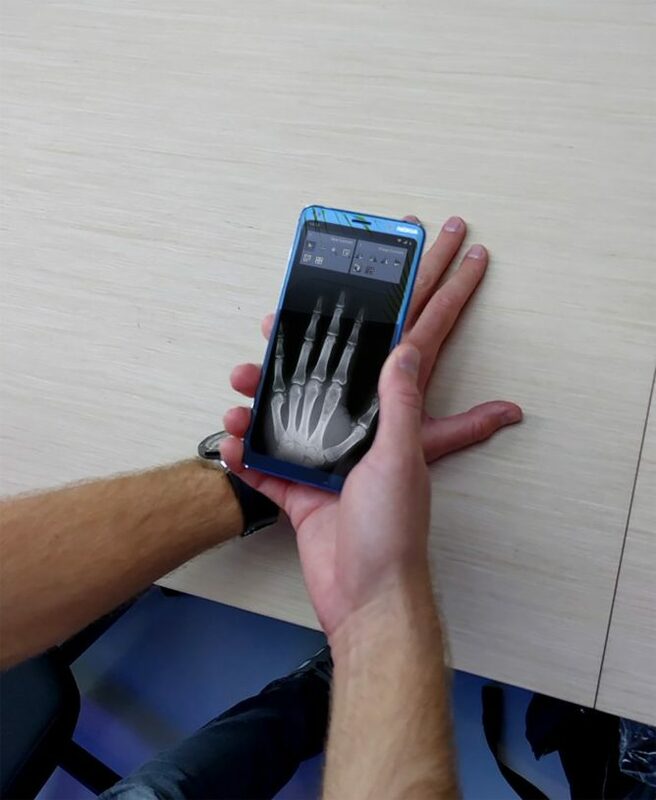 The new X-ray camera functionality is useful for on the go bone breaks and fractures and... well, really just that. Still, X-rays, man. 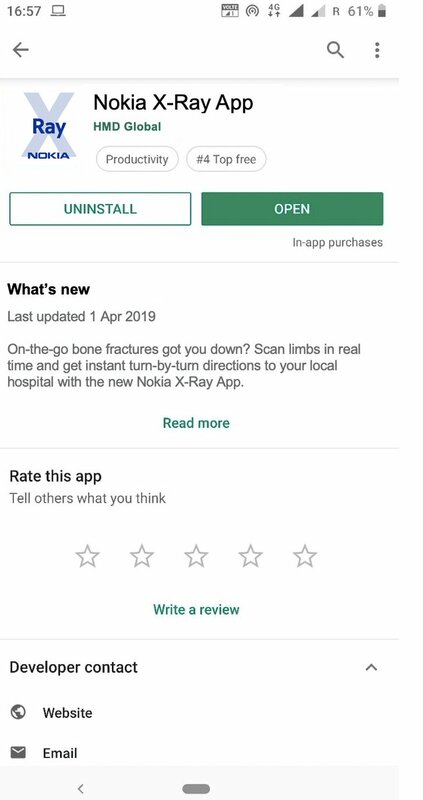 The app that enables the functionality will be rolling out soon. The well-known Lawnchair Launcher, provider of one of the best Stock-like home screens out there, today rolled out Comic Sans support. Mandatory Comic Sans support. KodiTV is rolling out an update which includes the new Koti TV MultiPass, an add-on subscription tier for $15 a month that grants access to up to three content providers (selectable each month). There's also a Micropass ($1 per movie or $0.29 per TV show), Megapass ($24 for all providers), and a Monster pass (Everything for $200 a year). The prank this year seems to be that there's no prank. At least it's better than last year's. Google does some of the best April Fools gags, and this year is no exception. Google Calendar now features a Space Invaders-style game pitting you into laser-based combat against your schedule. Each level is more difficult than the last, with more items on your schedule to destroy. Controls are either your mouse or keyboard, and the game is accessible via the settings cog at the top right on the Google Calendar site — desktop, not mobile, the latter looks like it was last updated in 2007. The sound effects are 10/10 and easily the best part, you've got to check it out. Today Google Fi has announced that it has further expanded its already near-universal international coverage to the next logical market: the bottom of the Atlantic Ocean. Google's annexation of the lost continent of Atlantis to follow. OnePlus Dash Warp Charge is coming to the electric car. Promising LA to Vegas on a 20-minute charge, the new Warp Car packs (literally) incredible specs like 6T integration, 290-mile range, 0 to 60 in 3 seconds flat, and 270 miles of travel off only 20 minutes plugged in. With a flex-sensing handle, Google has (finally!) brought spoon bending input to Gboard. By bending to a specific angle and then snapping back, you can input any character, making for easier input while eating foods such as soup, cereal, and more. Other versions based on straws, exercise equipment, fishing poles, and accordions are also planned, as well as eventual hands-free use. If you've been following /r/dankmemes, you already know what to expect. Rather than simply remind you to keep up your foreign language practice streak with easily dismissed notifications, Duolingo can now physically show up, in your actual life, as a guy in a big green bird costume. That should be a bit harder to ignore. You might think self-driving cars are just for people, but that's not the case. Waymo's latest "pet" project fits with the theme established by Roku, bringing self-driving car service to your four-legged friends. From a custom laser show for cats, to a cooling system for active hamsters, the new Waymo pet gives your animals total control over driver-less travel, stress-free. Nvidia's yearly gag perhaps steps a bit too far into unrealistic territory, promoting an AI-powered, holographic assistant, able to convert your rage at garbage teammates into false praise. There's even a Troll Destroyer mode that can handle forum flamewars for you, and tools to distract your loved ones away from your crippling gaming addiction. Pretty amazing, but also a few years too late. Logitech and the peripheral formerly known as "mouse"
Get it? Wireless mice have no tails. If you live in a city that's developed an unfortunate scooter infestation — San Diego, you really should get that looked at — then this will be exactly what you weren't hoping for. At all. Meet the rugged, outdoorsy, YETI Falcon. 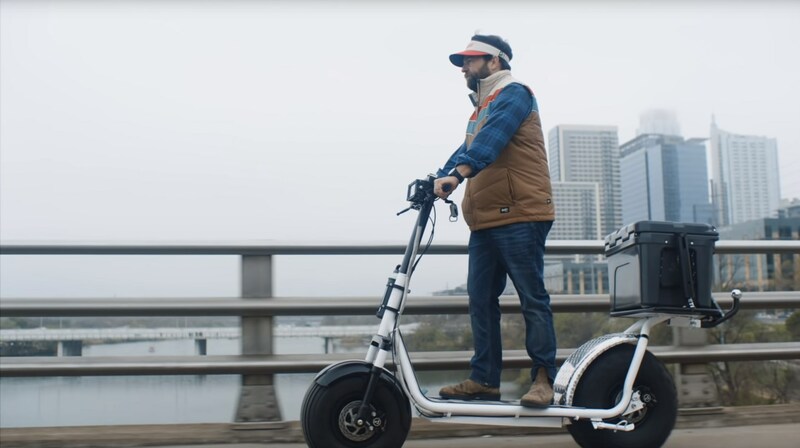 "I've always thought of the urban scooter as the 'vaping' of public transportation," is easily the quote of the day. Your eyes will thank Discord later. Dark mode 4 lyfe. Rather than being literally stuck with design and color of the skin you slap to the back of your phone, Slickwraps is delivering a new experience that's infinitely reusable, and as changeable as your own moods. The new Morph Skin, has a built-in, customizable digital display, giving your phone personality and protection. Sadly, they're sold out at the moment. You're going to cry that some of this isn't real, I'm sorry. Every dream you had for your Nintendo Switch should have just been crushed. Really, I'm so sorry. Production values aside, the startup startup kit is very nearly (and sadly) believable. SodaStream and astronaut Scott Kelly have teamed up to provide a new, and presumably necessary tool that changes your gas into a carbonated beverage, turning your "super-size salsa, bean, and cheese burrito" into something you'd apparently want to drink later. Apple may have decided going wireless is too hard, but dbrand hasn't given up. To that end, it's released its own AirPower skins, product to apply them to be damned. 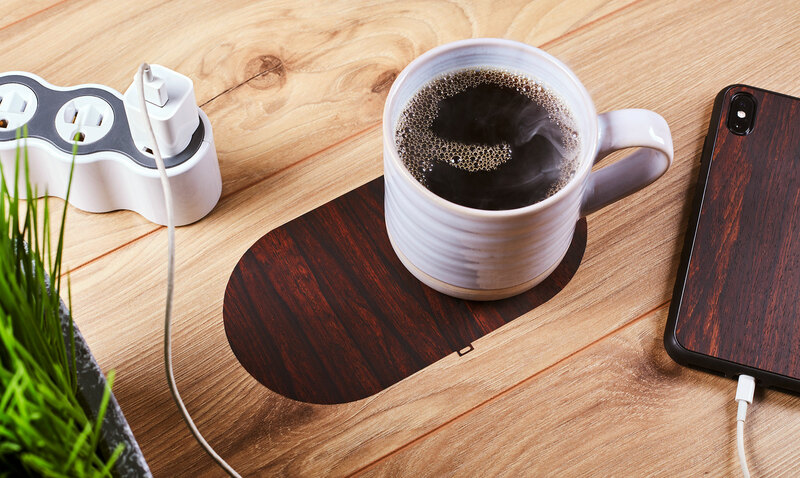 You can easily stick them over your wall outlets or the side of your laptop to make them 100% wireless, cover up vents for more precise climate control, or even "wrap it around your vape to really exhibit how cultured you aren't." Nissin Cup Noodle and HyperX have teamed up in a "first-of-its-kind" collaboration. The Hyper X Cup MIX-IN's combination leatherette/woven noodle ear pads provide comfort, while the dual-noodle-chambers provide the best sound possible. 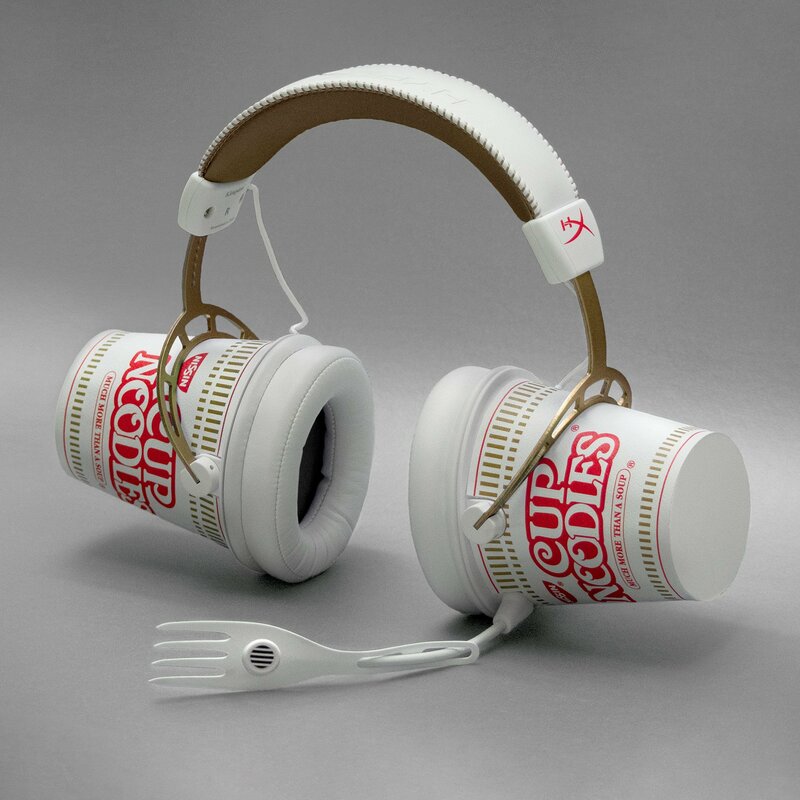 The detachable noise-cancelling Microphork delivers your dulcet rants to teammates with crystal clarity, doubling as an implement for later noodle slurpage.